The super light TR90 frame: You can hardly feel them on your face! 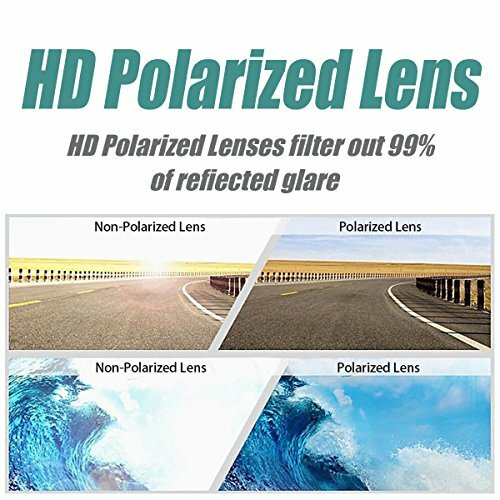 100% UV protection Polaroid lens. 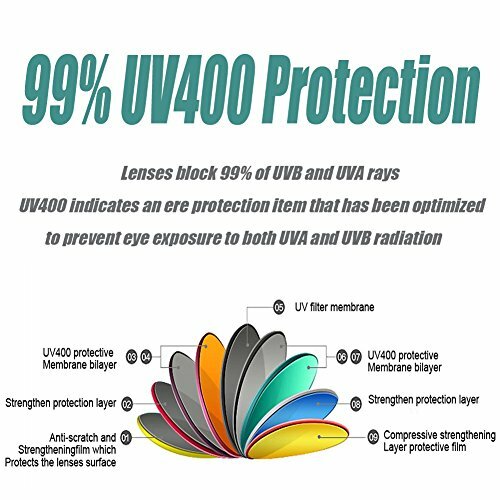 UV400 PROTECTION-Lenses block 99% or 100% of UVB and UVA rays.UV 400 indicates an eye protection item that has been optimized to prevent eye exposure to both UVA and UVB radiation. 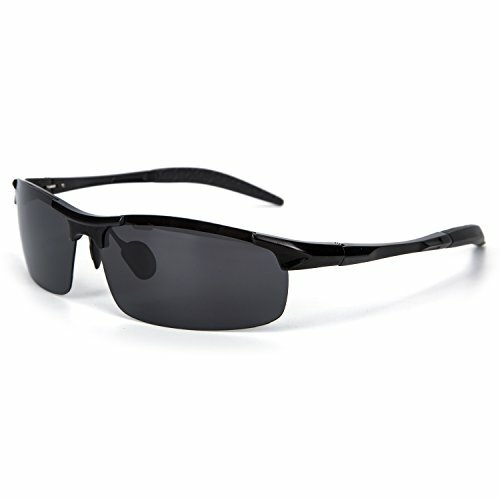 Sunglasses lens are made with the most high quality polycarbonate lenses, which are ultra lightweight and shatterproof. 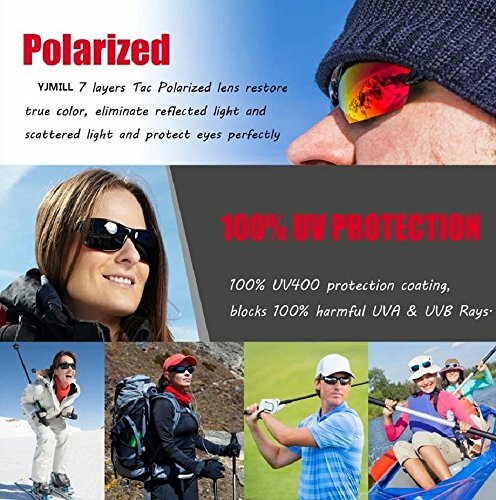 technology is made with even lighter weight material and are even more unbreakable,offering 100% UV protection. 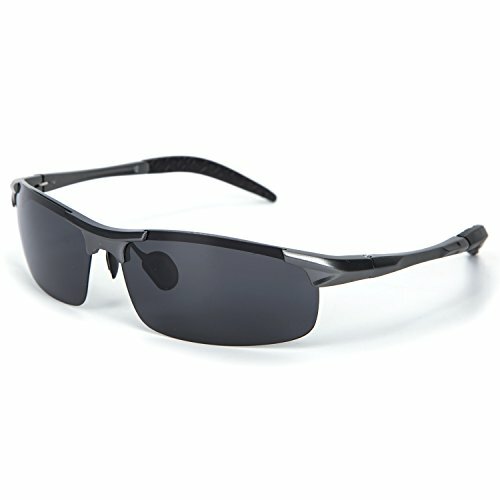 HIGH QUALITY FRAME - Made with only the highest quality materials, these sunglasses were constructed using special design techniques in order to ensure durability and avoid breakage while engaging in sports and recreational activity. Lightweight design is ideal for usage by motorcycle and cycling bicycle, driving, running, fishing, racing, skiing, climbing, trekking or other outdoor activities enthusiasts. 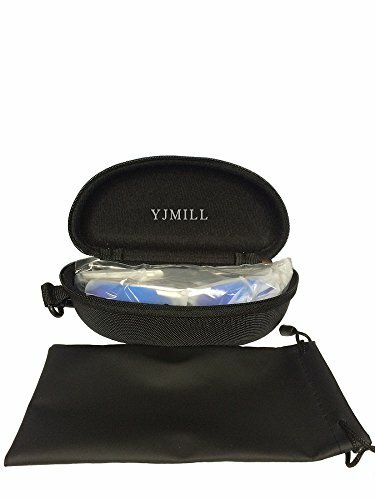 In case any broken problem happens, contact the seller of YJMILL without hesitation to solve the problem until satisfaction.